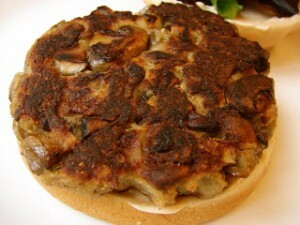 Meaty Mushroom Veggie Burger – The Least Terrible Veggie Burger Ever! Heat 2 tablespoons olive oil in a large skillet over medium heat; add mushrooms, onion, and garlic to the hot oil and season with salt, black pepper, and oregano. Cook and stir mushroom mixture until mushrooms have given up their juice and the juice has almost evaporated, about 10 minutes. Transfer cooked mushrooms to a cutting board and chop into small chunks with a knife. Transfer mushrooms to a large bowl. Mix in rolled oats and bread crumbs; taste for salt and black pepper and add more to taste. Stir Parmigiano-Reggiano cheese into the mixture, followed by eggs. Let mixture stand for the crumbs to soak up excess liquid, about 15 minutes. (At this point you can refrigerate the mixture to cook later if desired.) 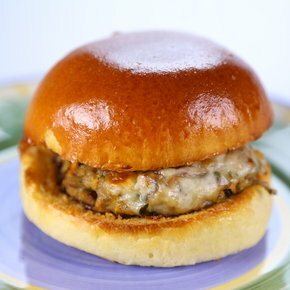 Moisten hands with a little vegetable oil or water, pick up about 1/4 cup of mixture, and form into burgers. Heat remaining 2 tablespoons olive oil in a skillet over medium heat and pan-fry burgers until browned and cooked through, 5 to 6 minutes. 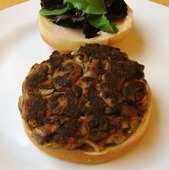 This mushroom burger recipe is adapted from “Lisa’s Mushroom Burger” from weheartfood.com, and to call it a veggie burger doesn’t do it justice. 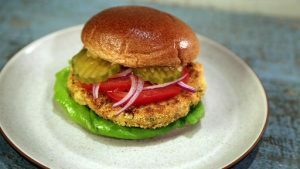 Veggie burger recipes tend to be bland and boring, but this meaty mushroom burger is anything but. In large bowl, add mushroom mixture to oats, Parmesan, breadcrumbs, eggs, parsley, oregano, salt and pepper. Mix well. Allow to sit for 15 minutes to develop the flavors. Shape into patties. Heat 2 tbsp oil in large non-stick skillet, over medium heat. Fry patties, cooking about 5 minutes on each side, or until golden brown. Add 3 tablespoons of olive oil to a large saute pan over medium-high heat. Add the onion and toss to coat. 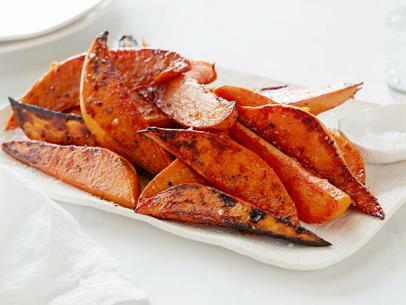 Season with a large pinch of salt, chili flakes, and a few cracks of black pepper. Cook for 3 to 4 minutes. Add the mushrooms and garlic, and season again. You may need to add more oil if the pan seems dry. Cook for 5 more minutes, or until the onions are soft and the mushrooms begin to color. Pour the mushrooms and onions into a large bowl. Stir in the oats, Parmigiano, breadcrumbs, carrot, eggs, parsley and oregano. Season with salt and pepper. Mix well and and form into patties. Heat a large saute pan over medium high heat and add 3 tablespoons of olive oil. Carefully put the patties in the pan, working in batches if necessary so as not to overcrowd. Cook on each side for 3 to 4 minutes, or until golden brown. In the last minute of cooking, add a slice of cheese to each patty. Toast the buns and add a burger patty to each.